A POPULIST wave that began with Brexit in June reached the United States in stunning fashion on Tuesday night. In one of the biggest upsets in American political history, Donald Trump won a truly historic victory in the U.S. presidential election. Trump's remarkably decisive win stunned most political pundits, myself included. Throughout the campaign, Trump seemed to have a polling ceiling of about 44 percent and he consistently had the highest unfavorability rating of any major party nominee in history. Accordingly, months ago I predicted that Clinton would easily beat Trump. Then, at the beginning of October, the uproar over Trump's lewd and offensive remarks on the "Access Hollywood" videotape, combined with the escalating number of women who accused Trump of sexual assault, seemed to finish off his campaign. Right up until Tuesday afternoon, therefore, a comfortable victory for Clinton seemed like a foregone conclusion. But I was dead wrong. Trump won a sweeping victory in the presidential race. His night began with critical victories in Florida, North Carolina and Ohio, three states essential to his path to 270 electoral votes. 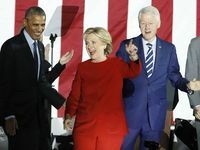 As the night wore on, Clinton's "blue wall" collapsed amid a red tide that swept across the country from the Atlantic coast to the Rocky Mountains. The blue states of Pennsylvania, Michigan, Wisconsin and Iowa fell to Trump like dominoes. The election returns made clear that Trump would carry over 300 electoral votes, more than enough to win the presidency. It's extremely early to draw conclusions about the 2016 election results, but here are five factors that at least partially explain what happened. But the polls were as wrong as the pundits. Problems with the polls' methodologies will undoubtedly be identified in the days and weeks ahead. The extraordinary role of FBI Director James Comey in the presidential campaign cannot be underestimated either. Two weeks ago Clinton seemed on the verge of winning a double-digit victory. But Comey's Oct. 28 letter to Congress, which announced that the FBI was reopening its investigation into Clinton's State Department emails, changed the momentum of the race. 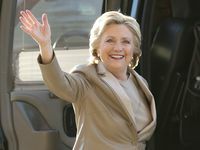 Clinton retook the polling lead at the end of last week, but the final polls masked the lasting damage that the Comey letter had done to her campaign. Whatever the ultimate explanation for the polls' failure to predict the election's outcome, the future of the polling industry is in question after Tuesday. Trump's astounding victory demonstrated that the polls simply cannot be trusted. A longstanding assumption of political campaigns is that a first-rate "Get out the Vote" organization is indispensable. The conventional wisdom in 2016 thus held that Trump's lack of a grassroots organisation was a huge liability for his campaign. But as it turned out, he didn't need an organisation. Trump has been in the public eye for over 30 years, which meant that he entered the race with nearly 100 percent name recognition. Trump's longstanding status as a celebrity enabled him to garner relentless media attention from the moment he entered the race. One study found that by May 2016 Trump had received the equivalent of US$3 billion in free advertising from the media coverage his campaign commanded. Trump seemed to intuitively understand that the controversial things he said on the campaign trail captured the voters' attention in a way that serious policy speeches never could. Most important of all, he had highly motivated voters. 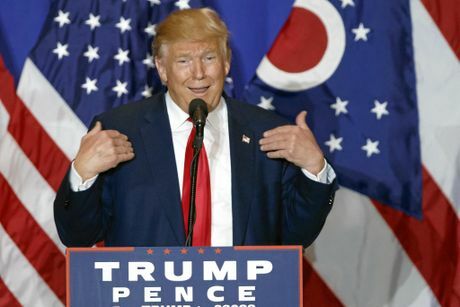 Trump's populist rhetoric and open contempt for civility and basic standards of decency enabled him to connect with the Republican base like no candidate since Ronald Reagan. Trump didn't play by the normal rules of politics, and his voters loved him for it. Trump's victory would seem to herald a new era of celebrity politicians. He showed that a charismatic media-savvy outsider has significant advantages over traditional politicians and conventional political organizations in the internet age. In the future, we may see many more unconventional politicians in the Trump mold. It will take days to sort through the data to figure out what issues resonated mostly deeply with Trump's base. But immigration and trade seem virtually certain to be at the top of the list. Trump bet his whole campaign on the idea that popular hostility to liberal immigration and free trade policies would propel him to the White House. From the beginning to the end of his campaign, he returned time and again to those two cornerstone issues. In his announcement speech, he promised to build a wall on the Mexican border and deport 11 million unauthorized immigrants. He also pledged to tear up free trade agreements and bring back manufacturing jobs. From day one, he made xenophobic and nationalistic policies the centerpiece of his campaign. His decision to focus on immigration and trade paid off in spades on Election Day. It's no coincidence that Trump did exceptionally well in the traditionally blue states of Wisconsin, Michigan and Pennsylvania, all of which have large populations of white working-class voters. 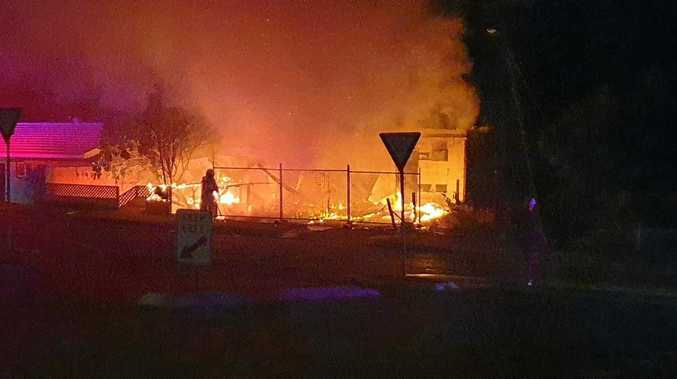 Previous Republican nominees such as John McCain, who embraced generous immigration policies, and Mitt Romney, who advocated free trade, never managed to connect with blue-collar voters in the Great Lakes region. But Trump's anti-immigration and protectionist trade policies gave him a unique opening with white working-class voters, and he made the most of it. The answer lay in the intense and widespread public hostility to the political, media and business establishments that lead the country. Trust in institutions is at an all-time low and a majority of Americans believe the country is headed in the wrong direction.. The angry and volatile public mood made 2016 the ultimate change election. Amid such a potent anti-establishment spirit, Trump's vulgar, intemperate and unorthodox style struck voters as far more genuine than the highly cautious and controlled Hillary Clinton. 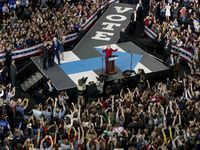 As the brash and unpredictable Trump positioned himself as an agent of change, Clinton seemed like the establishment's candidate, an impression that proved fatal to her campaign. 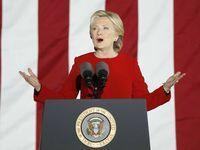 Indeed, Trump used Clinton's deep experience in the White House, Senate and State Department against her by citing it as evidence that she represented the status quo. Ironically, Bill Clinton won the White House 24 years ago using a similar anti-establishment strategy. In the 1992 election, he successfully depicted incumbent President George H. W. Bush as an out-of-touch elitist. Eight years later Bush's son, George W. Bush, employed the same tactic to defeat Vice President Al Gore. And in 2008 Barack Obama successfully ran as an outsider against John McCain. Trump is thus the fourth consecutive president to win the White House by running as an "outsider" candidate. That is a lesson that future presidential candidates forget at their peril. But Trump will not be a normal president. He won the White House by waging one of the most divisive and polarizing campaigns in American political history. It is entirely possible that he may choose to govern using the same strategy of divide and conquer. Hillary Clinton's Fight Song: Elizabeth Banks, Aisha, Sia and others sing in support of Hillary Clinton. In any case, Trump will soon be the most powerful person in the world. He will enter office on Jan. 20 with Republican majorities in the House and Senate, which means Republicans will dictate the nation's policy agenda and control Supreme Court appointments for the next four years. It seems highly likely therefore that Nov. 8, 2016 will go down in the history books as a major turning point in American history.